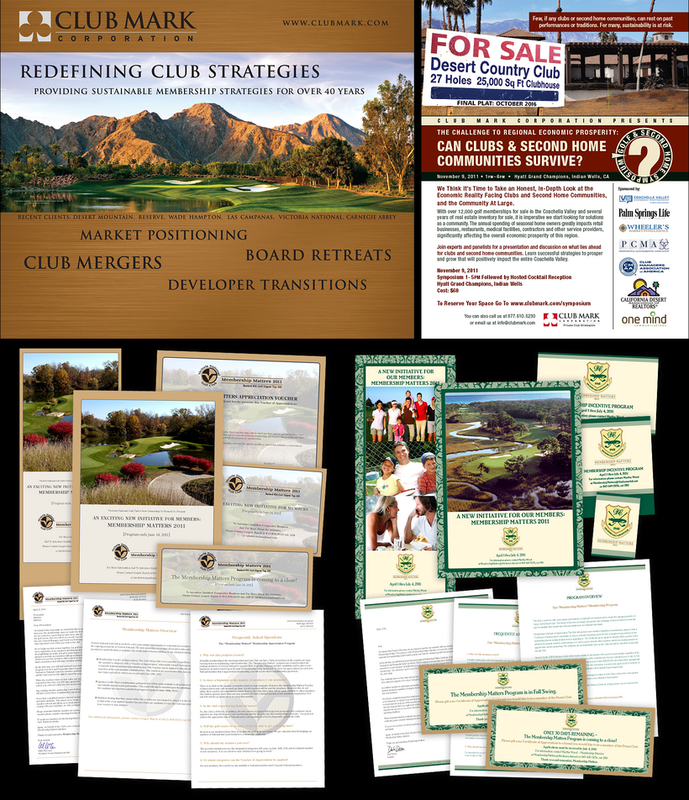 Club Mark Corporation – Worked with the CEO on several campaigns to help drive membership for a number of clubs across the country including Victoria National Golf Club, The Dunes Golf and Beach Club, Montclair Golf Club, and Bermuda Dunes Country Club. The campaigns included ads, eblasts, letters, inserts, posters, pull-up banners, table tents, buttons for staff, certificates and other collateral. Also worked on a Golf & Second Home Symposium spear-headed by the CEO which included a brand/logo, print ads, direct mail, website, eblasts, posters and other collateral.